Take your palate to a sweet and delightful journey with Krispy Kreme’s Original and Cake Mix Promo! With thoughts of long summer days, shopping mall trips and days on the beach, our well-loved doughnut and coffeehouse chain is mixin’ up two distinct flavors for one sweet summer experience! 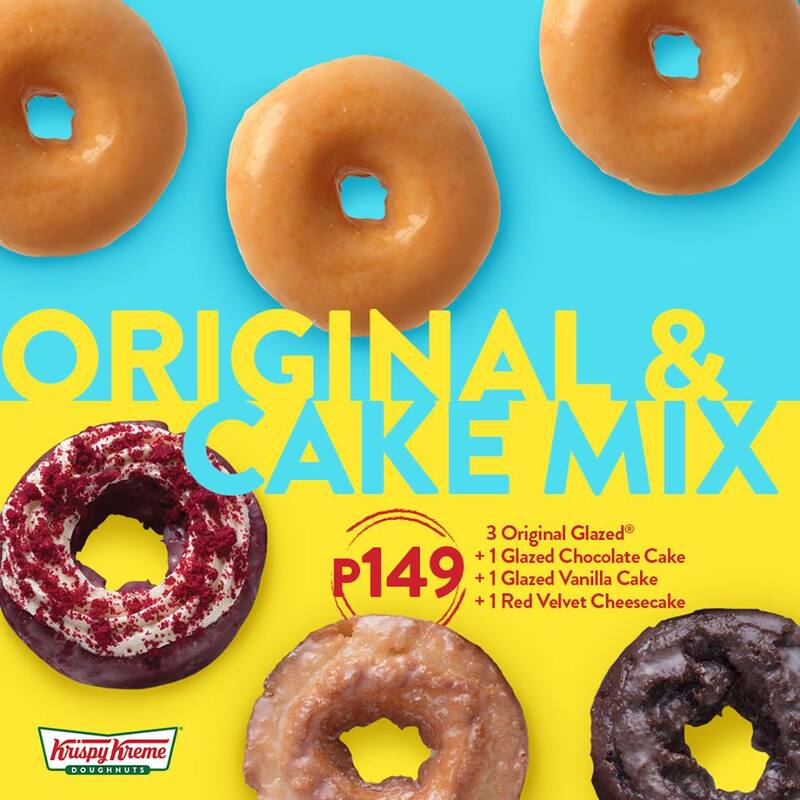 Get ready for another moment of sheer indulgence from Krispy Kreme’s Original and Cake Mix Promo. Beat the lazy summer vibes and perk yourself up with three (3) Original Glazed® Doughnuts plus three (3) Pre-Assorted Cake Doughnuts for only Php149. The promo is available until from March 31, 2019 only and valid in all Krispy Kreme Stores EXCEPT Airport Stores, Makati Medical Center. * The offer is valid for Dine-In, Take Out and Drive Thru only. * Per DTI-FTEB Permit No. 3882, Series of 2019.